India launched airstrikes on Pakistan on Tuesday in response to a terror attack that killed 40 Indian troops, and people across India are celebrated what they saw as vengeance. On the Pakistani side, the airstrikes represent a deeply embarrassing military defeat, even though they claim the airstrikes missed and killed no one. India didn’t just bomb the disputed border zone between the two countries, it entered Pakistan’s actual air space with virtual impunity. Pakistan’s defence minister said Pakistan would have responded with jets, but it was dark, prompting intense mockery in India. But the clash is no joke. 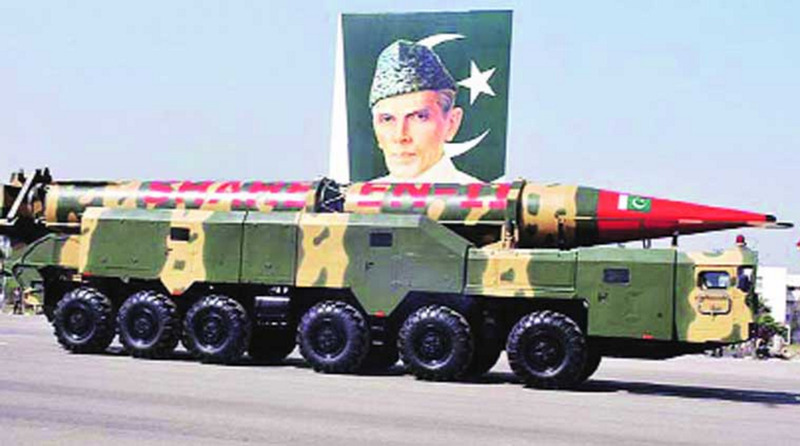 Pakistan’s military has incredible sway in the country and may now feel forced to retaliate against India, its nuclear rival, although a nuclear conflict remains highly unlikely. With China closely backing Pakistan and the US supporting India, Pakistan and India’s rivalry has long been seen as a potential flash point for a global nuclear conflict. Pakistan on Tuesday hinted at a possible nuclear retaliation to Indian airstrikes in its territory, which came as a great embarrassment to Islamabad, where the politically powerful military apparently failed to do anything about an outright attack from its chief rival. 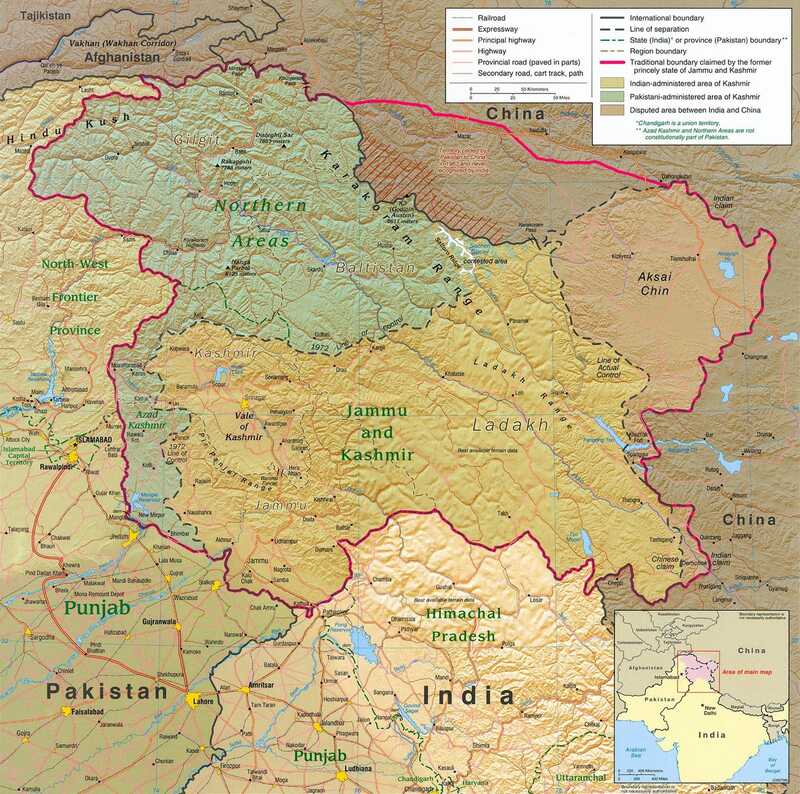 India bombed Balakot, Pakistan, in response to a terror attack that killed 40 Indian troops in the disputed region of Kashmir, which India and Pakistan both claim and both administer in part. “What happened is embarrassing,” Asfandyar Mir, a postdoctoral fellow at the Center for International Security and Cooperation at Stanford University, told Business Insider. “The fact that India was able to intrude into Pakistani airspace, not into the disputed region, but into the country, very close to the place where the US raid to kill Osama Bin Laden happened… this is embarrassing for domestic audience,” said Mir. Pakistan vowed retaliation at a time and place of its choosing, which it said would come as a surprise to India. Pakistan even called a meeting of their National Command Authority, or the group that makes the calls on when to use nuclear weapons, hinting that they were in consideration. But it remains highly unlikely that Pakistan would respond to border incursions in a region long contested by using any nuclear weapon, weapons so powerful they could affect Pakistani territory. But in other ways, Pakistan’s response furthered the shame of the attack. “Our air force was ready but since it was night they could not assess the damage so they waited and now there is clear direction that if there is any other similar attack, we will respond adequately,” Pakistan’s defence minister said at a press conference. Indians on social media latched on to the first part of the quote, which appeared to make an excuse for Pakistan’s inaction in face of the attack and viciously mocked Pakistan. Maj. Gen. Asif Ghafoor, the spokesperson for Pakistan’s military, said that Pakistan’s air force did indeed respond and chased away the Indian jets, but the Indian side totally refutes this. Ghafoor tweeted pictures of cratered patches of dirt and twisted metal which he said was evidence of India’s failed attack, but this didn’t blunt the gleeful and taunting response from Indians online. Both sides agree that India struck Balakot, but the results of the strike remain unclear and hotly disputed, with India claiming that as many as 300 militants were killed, and Pakistan saying only trees and some houses were hurt. Around the country, Indians celebrated what they saw as vengeance for the terror attack earlier in February. But there’s reason to believe that the online mockery could lead to real life bloodshed. Mir said that there will be intense pressure on Pakistan, both Prime Minister Imran Khan and the military, to strongly respond. In the immediate aftermath of the Indian airstrikes, reports of gunfire across the line of control in Kashmir and fighter jets flying above Islamabad, Pakistan’s capital, flooded Twitter. On Facebook and other social media platforms, both Pakistan and India have fielded intensely bloodthirsty online commenters that constantly mock and antagonize the other side. “The online militias, they are certainly representative of the sentiment on the ground. In many ways, they are also stoking nationalism,” said Mir. In India, Prime Minister Narendra Modi’s Hindu nationalist party faces a looming reelection, and in Pakistan, the military faces pressure from young nationalists to look powerful after being caught off guard. Mir said that Balakot is close to Abbottabad, the location of the US Navy SEALs raid that killed Osama Bin Laden, which also shamed Pakistan. ‘This is the second time Pakistani air defences were caught sleeping, at least as known to the Pakistani public,” said Mir. 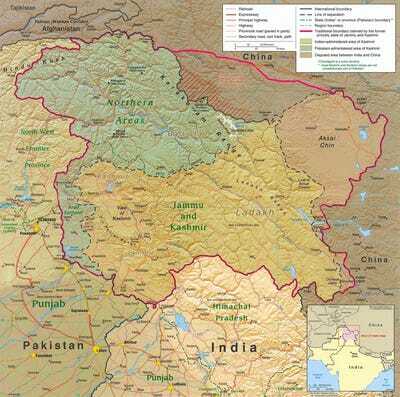 CIA via Wikimedia CommonsPolitical map of the Kashmir region districts, showing the Pir Panjal range and the Kashmir valley or Vale of Kashmir. And it matters what Pakistan’s military thinks. Pakistan’s military wields significant political power in ways likely unimaginable to those in the West, where militaries labour to do the bidding of civilian leadership. “Pakistan has seen four bouts of military rule after the British gave India and Pakistan independence,” said Mir. “In the Pakistani context, the military is the most important political entity. Even at times when there is a civilian government in charge, the military tends to have enormous power,” he continued, adding that Pakistan’s prime minister cannot act independently and would need the consent of the military before making any bold moves. Pakistan’s military likely may feel the need to strike back to save face, and India completely unleashed its military to freely conduct war in retaliation for the terror attack. .
Mir said that with the US’s State Department’s South Asia division busy negotiating a peace deal with the Taliban in Qatar and guiding a summit between President Donald Trump and North Korean leader Kim Jong Un, there’s little focus on this conflict between two nuclear-armed states in the White House. Prior to Pompeo’s Tuesday night statement, one notable comment the US did make defended India’s right to self-defence while placing the blame on Pakistan for harboring terror groups.